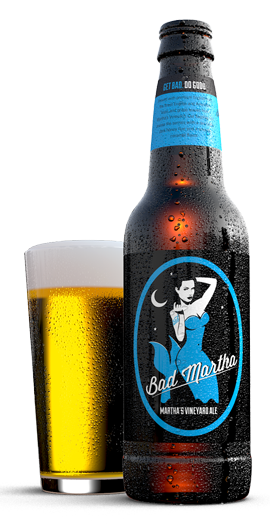 Bad Martha's flagship ale teases the senses with a devilishly dark honey hue, a smooth caramel flavor and a seductive floral aroma. Brewed with premium English malt, the finest English and American hops, and leaves of the grape that gave the island its name, Martha’s Vineyard Ale lures you in with approachable flavor and light to medium body you’ll want to get your hands on. Wild Vineyard grape leaves, premium Pilsner malt and Saaz hops give our Vineyard Summer Ale a bright golden glow, a clean pilsner malt flavor and subtle Bartlett pear aromatics. 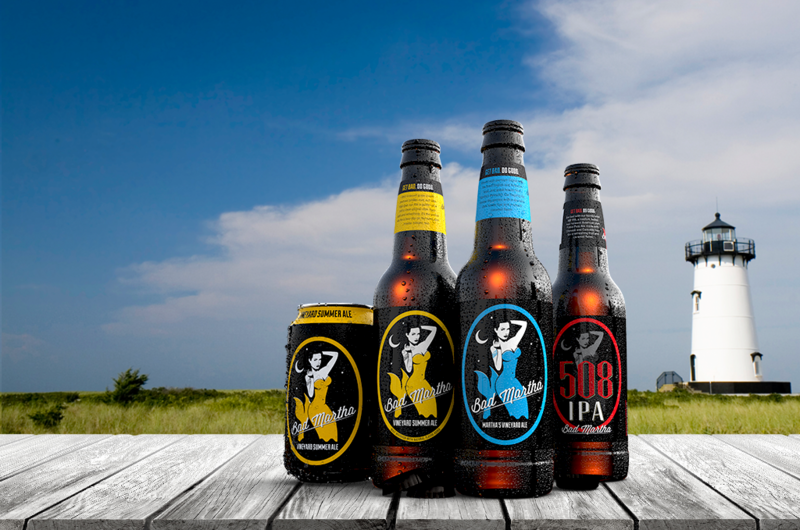 Its refreshing, light body makes it the perfect ale for a lazy day on the sand. And maybe a night, too. 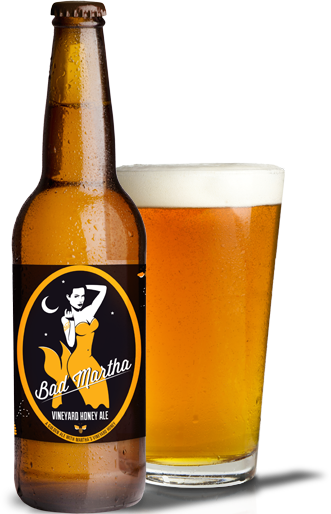 Tropical essences from Cascade and Citra hops make the Island IPA Bad Martha’s most alluring brew yet. Subtle hints of tangerine flavor combine with the striking golden sun-kissed color for a tantalizing taste experience that will leave you wanting more. 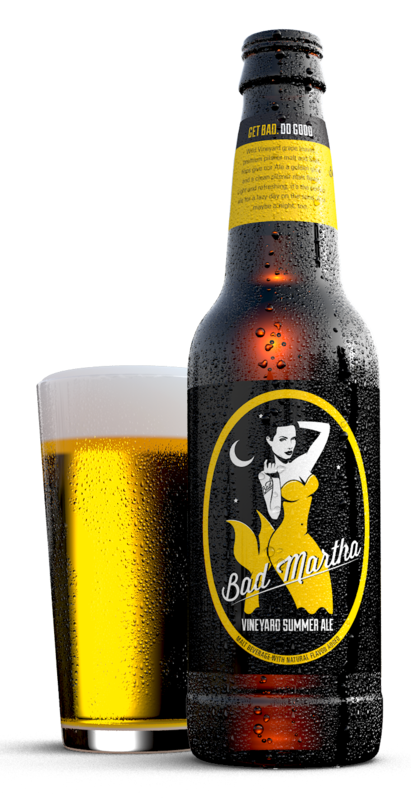 Our sultry Golden Ale blends Martha’s Vineyard Honey with come-hither Pilsner malt and a kiss of German noble hops for a yummy, smooth finish. 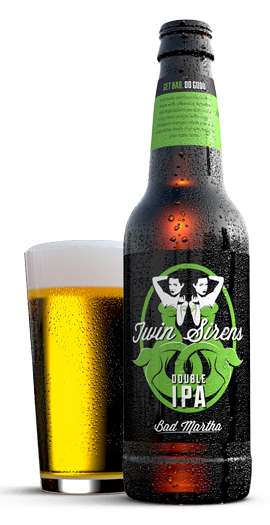 A wickedly delicious Double IPA. Made with a blend of American and Australian hops that crease a big citrus aroma, with notes of Mandarin oranges, fresh pine, and a dry bitter finish that will tantalize your taste buds.